The covers of my own books are my favourites, of course, but I’m going to look a little further afield for this one. 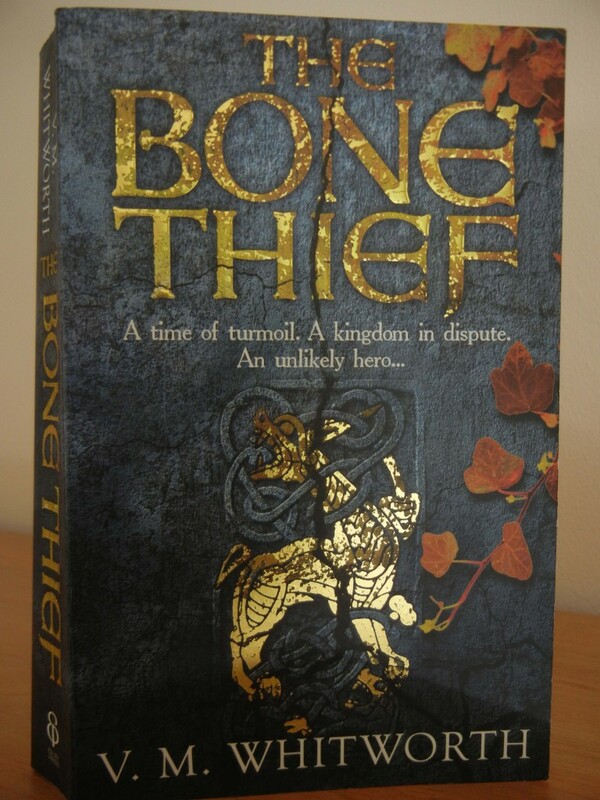 So, consider this one of my OTHER favourite covers: The Bone Thief, by V.M. Whitworth. This marvelous blend of charcoal background, russet leaves that evoke the dying of the year, plus the bright gold in the font and central image are a terrific combination. There is such an elegiac quality to all things Anglo-Saxon, and this book cover is a perfect example of that. (The novel begins in 900A.D., and King Alfred has just died.) I own two books of Anglo-Saxon poetry, and their covers cannot begin to compete with the beauty of this one. As with the golden cross on the cover of Hild, the artists have looked to their Anglo-Saxon past to find the perfect expression of that world. 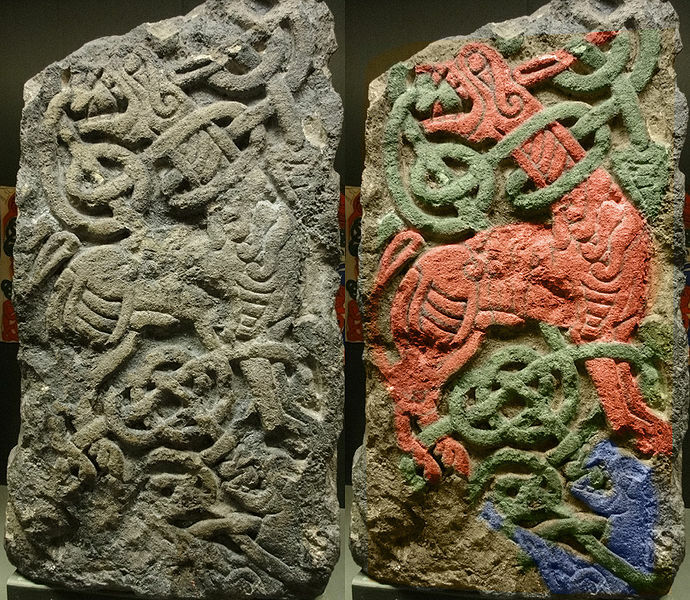 And by the way, here is an original of the image they used, with the photo on the right painted as the Anglo-Saxons might have painted it. This entry was posted in Books and tagged Anglo-Saxons, Cover Art. Bookmark the permalink.